Let’s dream that by 2030 we’ll make South Asia the first poverty-free region of the world. Let’s prepare to challenge the world to find poor person anywhere in South Asian. – Noble Laureate Prof Muhammad Yunus. 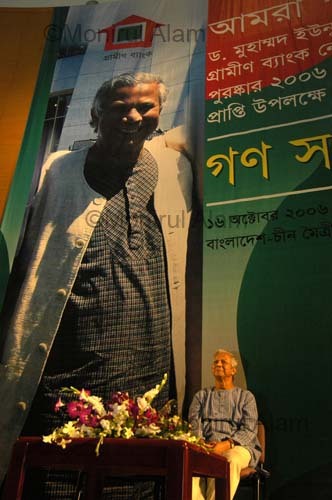 Recently, Noble laureate in a lecture delivered at the joint meeting of the member of Lok sabha abd Rajya Sabha of India in the Central Hall of Indian Parliament The speech in honor of academician and Parliamentarian Prof Hirendranath Mukherjee, whoes commitment to social justice spanned over 60 years until his death in 2004. That quote from Muhammad is truly inspirational. I hope the whole world can really try to achieve such a magnificent goal.